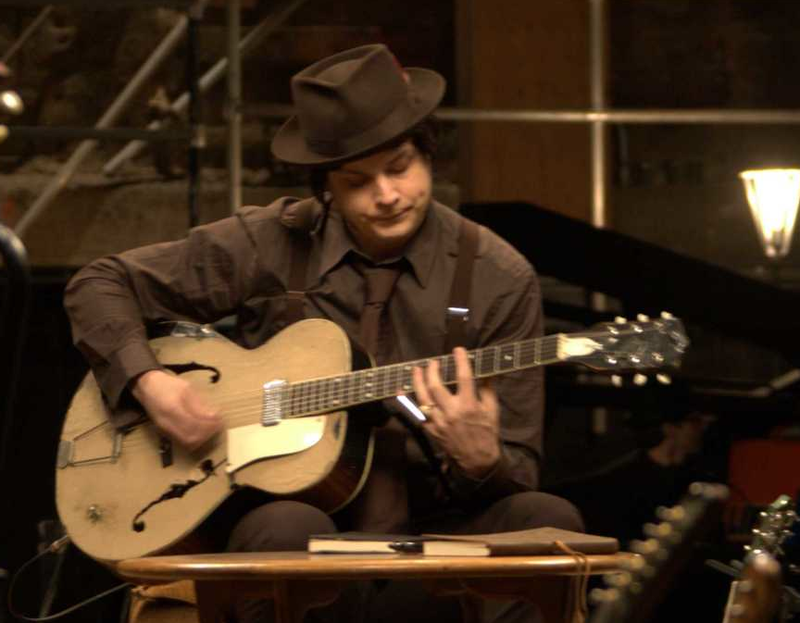 I’ve always been intrigued by Jack White’s 1950’s Kay Hollowbody Archtop guitar that he covered in a paper bag. 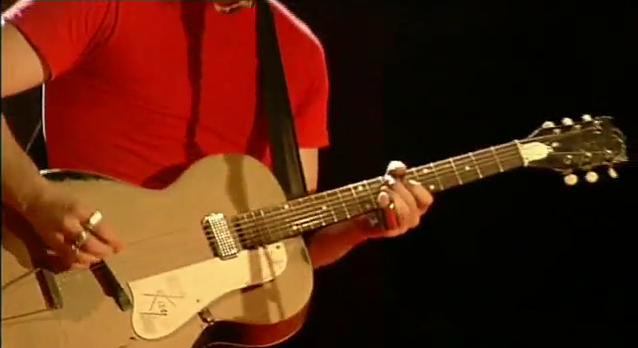 White uses this guitar when performing “Seven Nation Army” with The White Stripes. It was covered in a paper bag to help to stop feedback though the f-holes in the hallowbody. 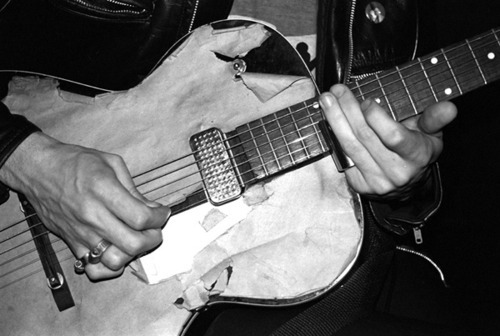 According to White, he recieved the Kay guitar back in the day as payment for some upholstery work. 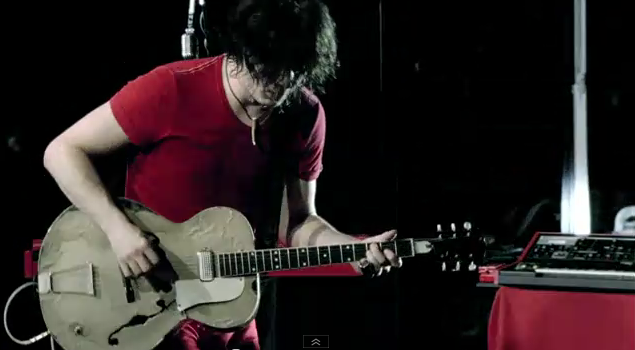 He also used this guitar when he played “Seven Nation Army” in the movie “It Might Get Loud“. Check out Jack’s three custom Gretsch acoustic guitars named after beautiful old cinema stars. It is a nice guitar though and if it works for him, good for Jack.